Inside: Have you always wanted to learn more about Hanukkah but had no one to ask? Do you celebrate Hanukkah but don’t know how to explain it to friends and family that don’t celebrate? 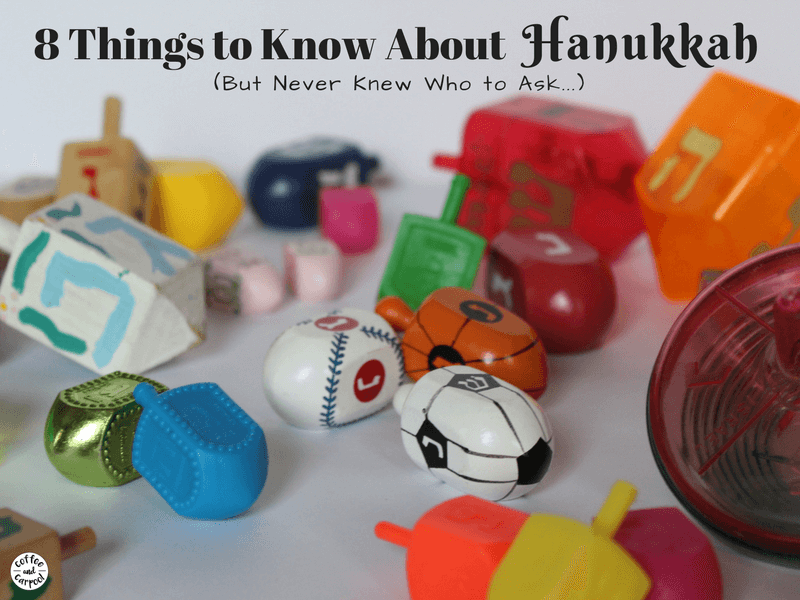 This list of 8 things you need to know about Hanukkah that you never knew who to ask. My daughter’s Girl Scout Troop has an incredibly diverse group of girls, so they all celebrate different holidays: Ramadan, Eid, Chinese New Year, Winter Solstice, Christmas, and Hanukkah. At our next meeting, the girls are going to teach each other about the holiday their family celebrates. Then, in turn, they will all learn about their friends’ holidays. I am beyond proud of them and excited to learn with them. Because I am a firm believer that it is our job to teach others who want to learn about our religion and how we celebrate our holidays. Information helps reduce indifference and bigotry and hate. Information teaches tolerance, and understanding, and love. 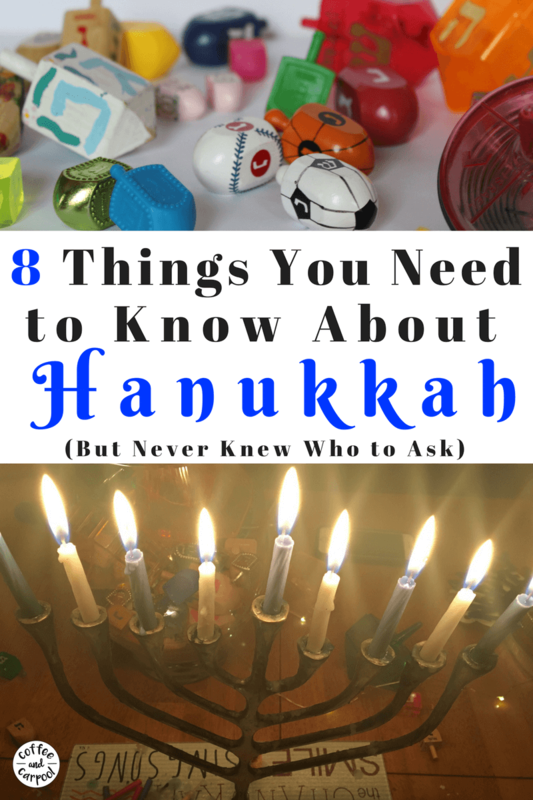 So in that spirit of finding value in each other’s differences, here are 8 things you need to know about Hanukkah but never knew who to ask. 1. Why does Hanukkah always change dates? Hanukkah moves around in December because the Jewish calendar is a lunar calendar which never lines up with our Roman solar calendar. The actual date of Hanukkah never changes, but the date it lines up with on our traditional calendar changes. So we’ve celebrated Hanukkah on Thanksgiving, Christmas Eve, New Year’s Eve and every day in between. Most Jewish families don’t know when Hanukkah is unless they Google it. My grandma had a Jewish calendar hanging in her kitchen, but now Siri is my Jewish Calendar. Hanukkah is one of our least religious holidays. It coincides with Christmas, so people often assume it’s a religious holiday. But Hanukkah is a celebration of a historical event. Around 200BC, the Jewish Temple was destroyed by the Syrian army. The Jewish people were not allowed to worship or study as they wished. A small Jewish army defeated the Syrians and restored our Temple, and that is what we celebrate. and we thank God for allowing us to reach this season to light the candles for the first time this year. When Hanukkah falls on a Friday evening, some people add an additional prayer to celebrate the Shabbat candles as well. 3. Why does Hanukkah last for 8 nights? We celebrate Hanukkah for 8 nights because once the Jewish army defeated the Syrian army there was only enough oil to light the candelabra for one night. More oil was sent for, but in the meantime, the oil that was left–oil that should have lasted only 1 night–lasted 8 nights until the new oil arrived. So we celebrate this miracle for the 8 nights it lasted to celebrate Hanukkah, the Festival of Lights. Hanukkah starts at sunset and ends at sunset 8 days later. 4. What do you call the thing you light? On Hanukkah, we light a hanukkiah, although most people, me included, incorrectly call it a menorah. (Hanukkiah is a specific type of menorah we light on Hanukkah). There are 8 spots for candles all at the same height, and then one candle holder that is higher or off to the side. This candle is the “worker candle” and lights all the others. So on the first night, we light the worker candle, or “shamash” with a match or lighter and then that worker candle lights the other candles. 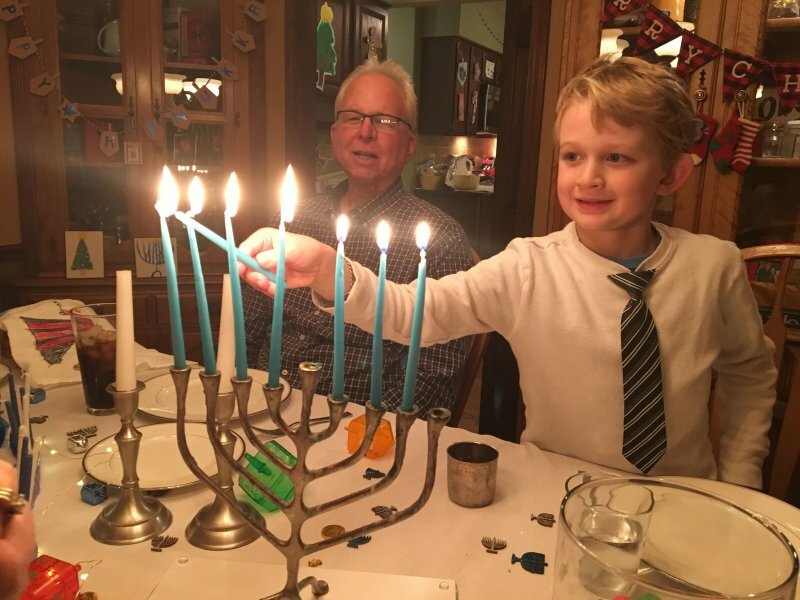 We go through 44 candles over the 8 nights of Hanukkah (2 on the first night, 3 on the second night and so on). 5. How do you wish someone a Happy Hanukkah? To wish someone a Happy Hanukkah, just say, “Happy Hanukkah” or “Happy Channukah.” Both are pronounced the exact same way. Most Jewish folks have a strong preference for one or the other, but no way is right or wrong. 6. If I get invited to a Hanukkah party, what will I eat? Most Jewish holidays have special foods associated with them. We’re all about the food. We fry everything in oil to help us celebrate when the oil that should have lasted only one day, lasted eight. 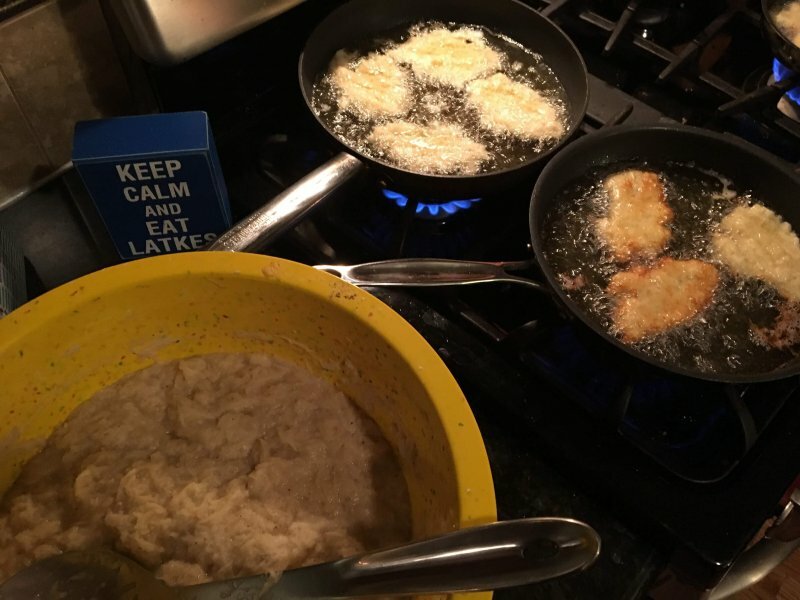 In America, we eat latkes, or potato pancakes, which are grated potatoes and onions, fried in oil. We eat them dipped in sour cream, applesauce or both. Try latkes with sour cream. Trust me. In Israel, they eat fried jelly donuts called sufganiyot (soof-ga-nee-yot). Most families have at least one other thing they always serve on Hanukkah. I make my grandma’s mouth watering tri-tip recipe. Others make brisket (meh) or kugel (double meh). 7. What’s the game called that you play on Hanukkah? On Hanukkah, we play dreidel. It’s a four-sided top with four Hebrew letters on each side. The letters stand for “A Miracle Happened There.” Back during the Syrian rule, Jewish people played with the dreidels as a secretive way to study our customs and laws. Now, it’s just a game. Spin the dreidel and depending on what side it lands on, you will either get the full pot, half the pot, nothing, or have to add in one more to the pot. 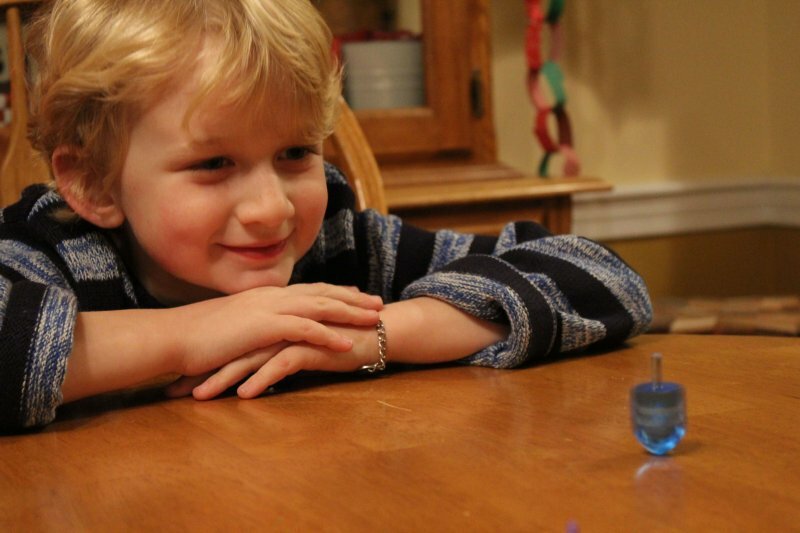 Want to try your hand at dreidel? Here are the directions. You can purchase your own dreidels here. 8. Does everyone celebrate the same way? We all celebrate Hanukkah differently. 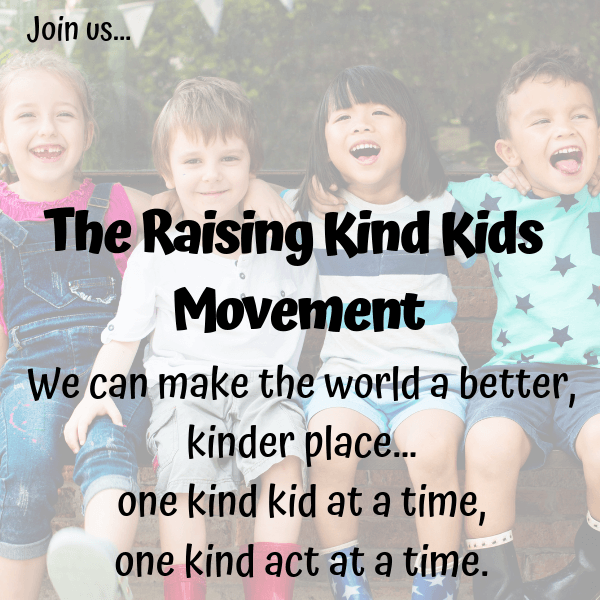 Some of us give our kids gifts every night, some give a few gifts, and others give no gifts at all. Some Jewish homes put up a Hanukkah bush, some put up a Christmas tree (you’ll find one in my house), but most put up nothing. Some Jewish families put up blue and white lights on the outside of their homes, others leave the lights to those who celebrate Christmas. Since there’s no one way to be Jewish, there’s no one way to celebrate our holidays. There’s no right way to celebrate. And there’s definitely no wrong way to celebrate. Well, maybe there’s a wrong way. Kugel tastes pretty wrong to me. But that’s just my humble opinion. Happy December, whatever you celebrate…or don’t celebrate. Do you celebrate Hanukkah but want to find simple ways to make it more meaningful? 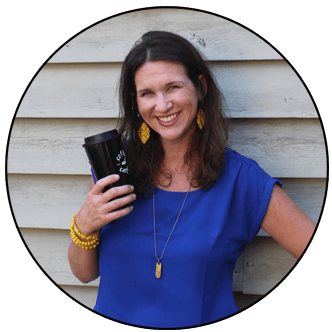 Want to purchase a thoughtful gift for someone who celebrates Hanukkah? Here are 70+ ideas to choose from! Thank you for this post! I loved reading it and learning more about this Holiday!!! Thank you for helping to spread tolerance and understanding! Thank you! I learned a lot about Hanukkah. I had no clue that it wasn’t a religious celebration.